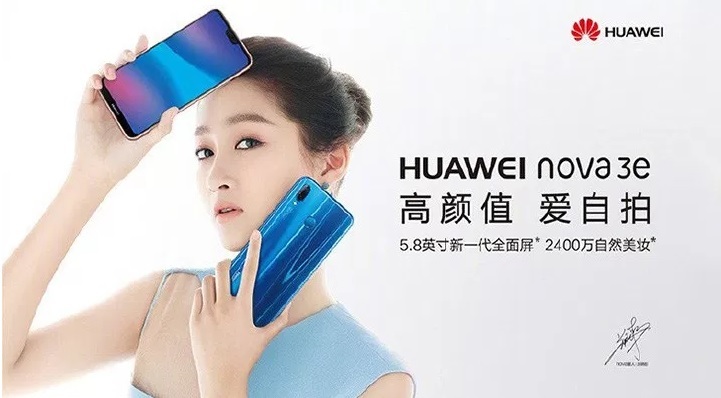 Also known as the P20 Lite, Huawei has officially unleashed its Nova 3e in China! The Nova 3e is the brand’s first device to sport a notch, with this, the smartphone delivers a 5.98-inch 19:9 Full HD+ display. Under the hood, it is powered by the company’s mid-range Kirin 659 octa-core processor clocked at 2.36GHz. It packs 4GB of RAM, and has up to 128GB of internal storage, as well. Camera wise, the device boasts 16-megapixel + 2-megapixel rear cameras and another 16-megapixel front shooter. It packs 3000mAh battery, too. See Also: Huawei Nova 2 Lite Hands-on and Initial Impression; Too Good for the Price? Moreover, the smartphone runs on Android 8.0 Oreo with Huawei EMUI 8.0 on top of it. The Nova 3e is now available for pre-order in China. Comes in 64GB and 128GB storage variants, the device is priced at CNY 1,999 (Php16K) and CNY 2,199 (Php18K) respectively.